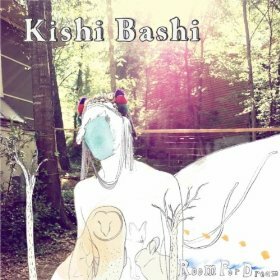 Listen to this track by Seattle-born, New York-based singer, violinist, loop technician, Of Montreal string-arranger and touring member, and songwriter K Ishibashi, aka Kishi Bashi. It’s the sumptous-yet-spacious “Manchester”, an impressionistic and post-modern narrative about a narrative as taken from the EP Room For Dream. The song is the opening track on the EP, an ever-expanding soundscape that is, at once, airy, organic, and with a touch of hopefulness balanced against melancholy. Musically, the song is an amalgam of pan-cultural textures, from sparse Far-East flavouring, to western classical aesthetics, and delivered in the similar kind of cinematic orchestral pop packaging as a Mercury Rev, or Flaming Lips. After seeing Kishi Bashi perform as an opening act for Sondre Lerche (and then join Lerche’s ensemble as a backing musician on violin, guitar, and keyboards) at the Biltmore Theatre here in Vancouver, I had a chat with him via email about the business of cultural crossover, about the importance of location in the songwriting process, and about what Beethoven would have made of loop technology. The Delete Bin: “Manchester” was written in that city (in the UK), and was finished in Australia.What was it about those locations that helped you to conceive of it, write it, finish it, and present it? Kishi Bashi: It was my first time in Manchester, and England in general was still very exotic to me. It was kind of gritty and had a very colorful spirit. I was suffering from insomnia and I just felt compelled to create at that moment. it was a very creative time for me, despite the insomnia. In Australia, I was blessed with the opportunity to open up for Regina Spektor in a kind of acoustic way, and I forced myself to complete this song because it showed a lot of promise. I chose the mostly-string arrangement because I was looking inward to find out my strengths, and I figured out pretty quickly that I had always been very comfortable with the violin. Another real reason that the song was completed was because I wanted to start my set with just strings. But my cellist friend Daniel Cho who was gracious enough to play with me every night (for free), wanted to casually stroll out towards the end of my set and not be stuck on stage for the entire set. I had to make another solo number song that would work on solo violin. Unfortunately Daniel Cho drowned last summer while on tour with me, so this whole experience in Australia was extra special for me. DB: This tune references the act of writing a story, which means that it’s a narrative inside of another narrative. What’s your take on how music and storytelling converge, and how does this play into how you approach presenting songs as a musician and songwriter? KB: I’ve always been a musician first for some reason. I have a strong classical background, and from there, I went on to study jazz, and mainly instrumental music. I really haven’t been paying much attention to lyrics until very recently. Lyrics always played second fiddle to melodic shape, harmonic content, and production. Of course, I now know that lyrics are just as important to a listener, if not more, than the music. I was touring with Regina at the time, and I think I was influenced a bit by her approach to lyrics, which tend to be simple, but very exciting and insightful. DB: Cellist Yoed Nir joins you on this track. He’s another musician who crosses over from classical music, to folk, to pop, an back again. How did his involvement come about on this project? KB: He’s fantastic! I also met him through touring with Regina. He’s great because he’s a got a lot of ideas. He also has the skills to play the ideas that I present him as well. DB: Instrumentally speaking, you’re primarily a violinist, although you play other instruments. How does centering your work around the violin unlock compositional possibilities for yourself, as opposed to writing around a guitar, or piano? KB: For the several years I had been writing for Jupiter One, I had always mistreated the violin as my “money” instrument. I always assumed songs should be written on guitar or piano, because it’s easier that way. For this solo project, however, I’m really embracing the uniqueness and challenges that a violin based songwriting approach favors. With the exception of “Manchester”, the other songs had pretty much been written on guitar or piano. Coming out of this tour, where i had to recreate most of my guitar based songs on violin loops, I’m definitely beginning to experiment with a more harmonically simpler loop-based song writing style. DB: You studied film scoring and orchestral composition, which comes through on this tune, and on other songs on Room For Dream. How does your use of technology in real time onstage contrast with your experiences in formal study? KB: For several songs live, I make 4-5 voice orchestral loops to sing on. I think the counterpoint/harmony classes definitely help me achieve this. What really helped was the jazz improvisation studies that I had immersed myself earlier in life. I remember practicing lots of arpeggios through jazz chord changes and then pentatonics in all keys. I just improvise the arrangements, which is always fun for me, and I discover live which ones are better, and I try and improve on them. DB: What was the learning process like working with that set-up, and perhaps also having to be ready to be your own IT guy while performing? KB: At first, it was exciting and terrifying at the same time. Basically, when I met up with Sondre Lerche in Toronto to open up for him, and it was really a rough start for me. It was my second show that I had ever done, depending on live loops like this. There were several moments where my loops were out of control or I had just mis-triggered and erased what I had just recorded. The interesting thing about performing solo is that you can literally bring the performance to a screeching halt all by yourself. I remember in Toronto (to a pretty large crowd) I got the crowd really worked up by really struggling with a particular loop (I remember I had started and stopped it several times). They were cheering me on by the end of it! “You can do it!”; that kind of thing. Twenty-five shows later at the El Ray Theatre in Los Angeles, I was much more relaxed and my set was a million times smoother. I remember seeing Andrew Bird a long time ago, and he had stopped a loop mid-creation, and I just remembered that it was very cool to see him make a mistake. I think people, musicians and non-musicians appreciate the fact that I’m trying something fairly complicated and that it could literally fall apart at any moment. DB: You’ve toured with Of Montreal as an integral member of that band, with Regina Spektor’s touring band, and now with Sondre Lerche. How does your work as a supporting musician feed your own ideas when it comes to performance and recording on your own? KB: I’ve been lucky enough to work with some truly inspiring artists lately. Sondre and Regina, on top of being phenomenal songwriters, are also fierce solo performers. They’ve been commanding large audiences solo for years. They don’t even need a band! It takes a true showman (or showperson?) to really be at that level, and I really admire and respect that. Of Montreal‘s been one of my favorite bands for years, and I’m totally thrilled to be a part of their family. Their performance ethic is ridiculously strong. They feel that they need to shock and blow people’s minds with sensory overload, all the while delivering some damn good songs. Kevin Barnes (who also, for the most part, makes the Of Montreal albums all by himself), is a studio whiz! He’s taught me a lot about production and fidelity (the audio kind), and I’ve learned some very valuable tips on how to stay inspired and remain creative. He’s also a kind of a genius poet, so he’s inspired me to write better lyrics. We were drunk once in Florida somewhere after a show, and he shook me and said something to the effect of: ” K, your lyrics are horrible. I’m worried about you! !” I’ve taken it to heart, and I’ve made it a top priority to focus on lyrics the next time around. DB: You’ve got a lot of projects on the go; as a support player, a solo performer, and as a part of other bands, like Jupiter One. Where does a full-length solo album figure into your plans? For more information, click through to the Kishi Bashi official site. From here, you can ‘Like’ on Facebook, follow on Twitter, and buy the Room For Dream EP.